I love this one... I nearly sprayed iced tea all over the computer screen. I guess we're even! 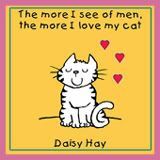 Oh my it is funny, I love your Wordless Wednesday's great post! Thank you for a good laugh!! I love that! Too funny! I didn't realize there was somebody around with a camera when i did that! Ok that is tooo funny! I just cant stop laughing!!!! LOL Too funny! I guess they are now even! Great share. Thanks for stopping by. Hope you are having a wonderful Wednesday! Hope you are having a lovely afternoon. 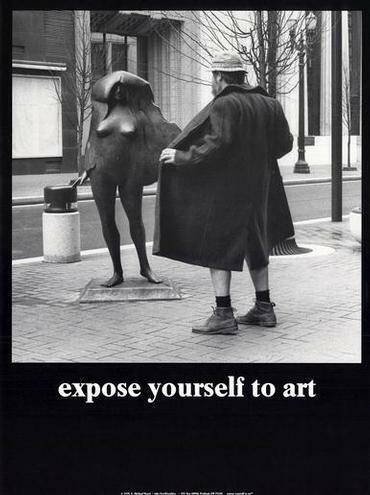 Will you be 'exposing' yourself to art - or have the days cooled so you no longer feel like taking all your clothes off and running to the nearest river or lake for a dip. Hey there...thanks for stopping by my blog today on this WW day!! This is one of my favorite blog days maybe because it is such an EASY day!! Ya think??? You have a nice blog. I have been reading for awhile about your trauma day..what a day for you..Take care. I was thinking what cute little resposne I could leave, but I am totally blank. That is too funny!!! Thanks for stopping by today. Have a great day!!! By the way i really like the way you have your blog set up. LOL! Good one! :) How have you been Quill? Quilly: This one is too funny! !